After twenty years as a political wife, the now-divorced Helen Binney should be able to organize a small event for the local library without breaking a sweat. But she didn't plan on the guest speaker, a controversial celebrity poker player, literally drawing a hand of death. Whose buttons did he push a little too hard? Was it really, as the police believe, the niece of Helen's handsome lawyer/friend, Tate? Getting to the truth would be a lot easier if it weren't for a cranky runaway cat, a group of poker players who put the "fanatic" in fan clubs, and death threats that may or may not be imaginary from an end-of-the-world cult. 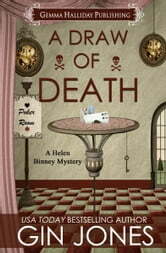 With the stakes so high, can Helen save Tate's niece without drawing death herself? "Lethally clever! 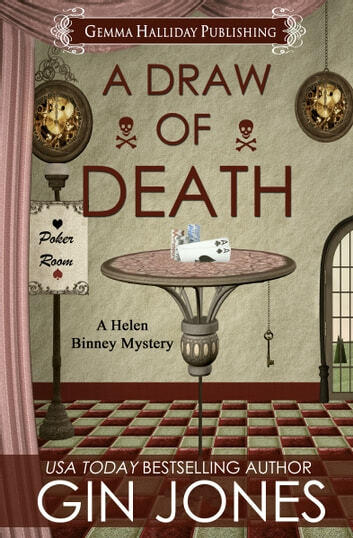 Gin Jones's Helen Binney Mysteries will have you laughing, smiling, and on the edge of your seat wondering whodunit. I can't wait for more from these characters!"